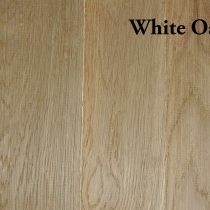 White Oak, a hard and heavy wood, is grown in Canada and the USA. The color varies from light tan to pale brown with a straight grain. Not only is white oak used for furniture; it is used for whiskey and wine casks and coffins. White oak is more resistant to decay and sometimes used in truck beds. What’s the difference in these Hardwoods? Rough: This item is left rough on all sides. Need the boards milled? See our Woodshop Services available upon request when purchasing the boards. S2S: Skip surfaced on both faces and left rough on the edges. Most of our hardwoods come in S2S from the mill. This is going to be the most economical way to purchase our hardwoods. S2S hardwoods are only sold here at the store. Need the boards milled? See our Woodshop Services available upon request when purchasing the boards. S2S1E: Skip surfaced on both faces and clean ripped on 1 edge. We hand pick hardwoods from our S2S stock and put 1 clean edge on it for you. The other edge is left rough. This option is going to be more expensive than the S2S due to the labor and material waste involved. The S2S1E hardwoods are available through our TotalWoodStore.com online site and can be shipped throughout the U.S. or picked up in the store. Some hardwood species and/or sizes may have limited quantities at times. S4S: Surfaced on all four sides and cleaned up on faces. We hand pick hardwoods from our S2S stock and cut it to our S4S stock. Due to the labor and material waste involved, this option is going to be the most expensive. The S4S hardwoods are available through our TotalWoodStore.com online site and can be shipped throughout the U.S. or picked up in the store. Some hardwood species and/or sizes may have limited quantities at times. S4S means this hardwood has been surfaced on all four sides. This board has a cleaner appearance than S2S1E. Available in 4/4, 5/4, or 8/4 thickness, 1-1/2″ to 6-1/2″ wide, and 3′ to 8′ long.